Sweden is internationally lauded for its public, comprehensive, accessible and affordable Educare system, which provides all Swedish young children with some of the very best care and education. New York City is embarking on a massive expansion of pre-K programs. What can we learn from Sweden's experience? 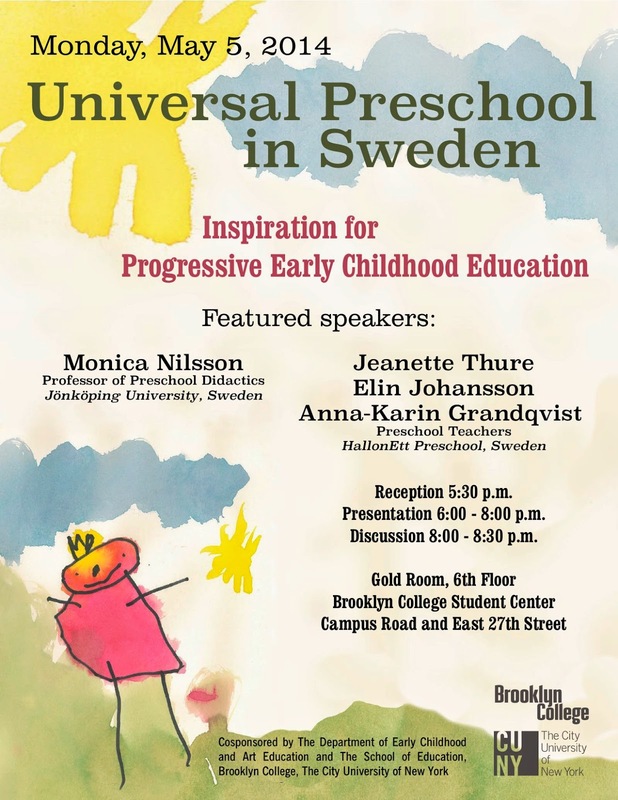 What: Discussion: "Universal Preschool in Sweden: Inspiration for Progressive Early Childhood Education"